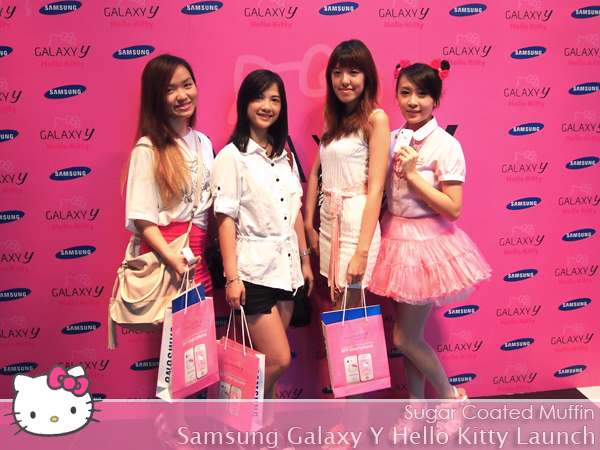 My Saturday was a blast of girly fun, thanks to Samsung! 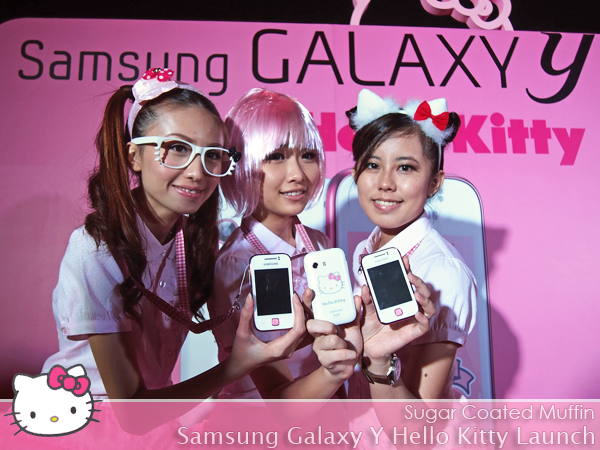 We were at GSC Pavillion for the launching of the uber pink Galaxy Y Hello Kitty Limited Edition. 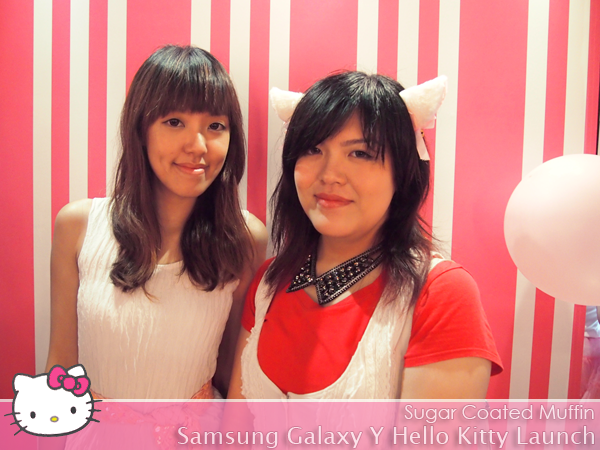 The place was transformed into a pinky cute paradise with pink balloons, and Hello Kitty everywhere! Grabbed a shot with Senri, Elie & Wei Ling, who was coincidentally working there. Spotted this model in a pretty dress. Totally reminded me of the girl in Enchanted. 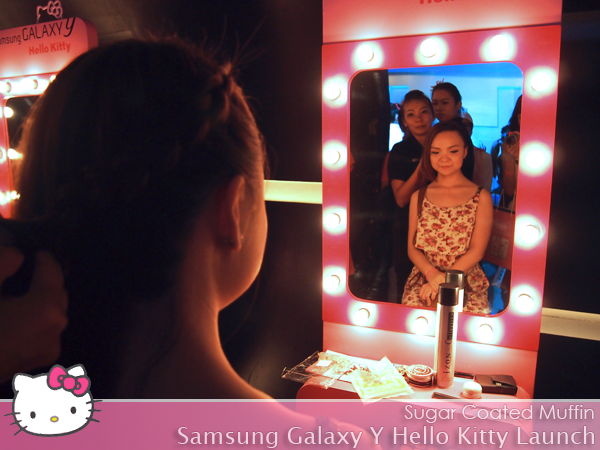 The day was filled with manicures, makeovers, hairdos, airbrush tattoos and lots of food! Yeeing looking lovely as usual..
With Laura and her cat ears. 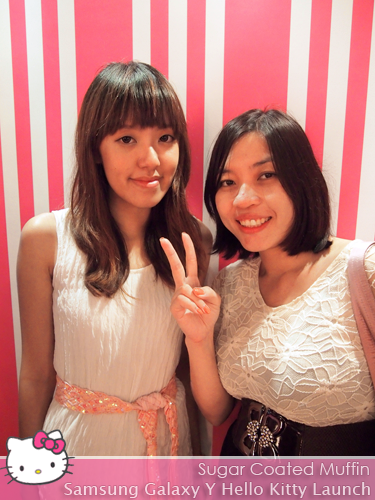 Kim, who's so crazy to come all the way from Johor. 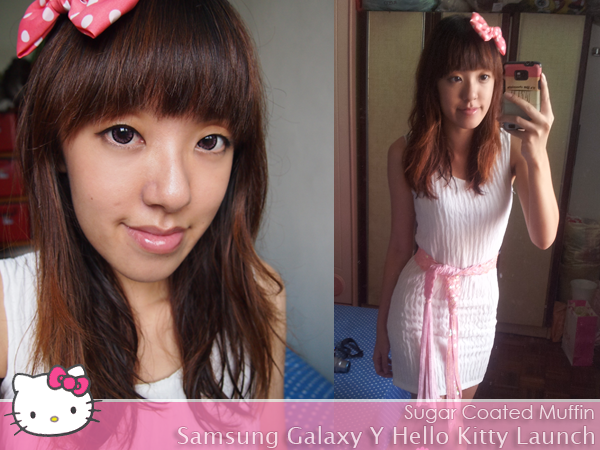 OOTD-finally wore this white dress I bought in Sungei Wang for RM 25! And that was not all! We were treated to a movie with complimentary popcorn & drink as well. 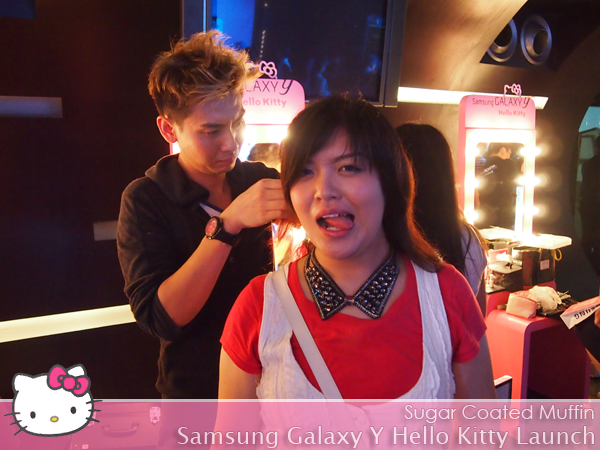 Samsung sure knows how to pamper a girl! Which is why they're having a contest right now! 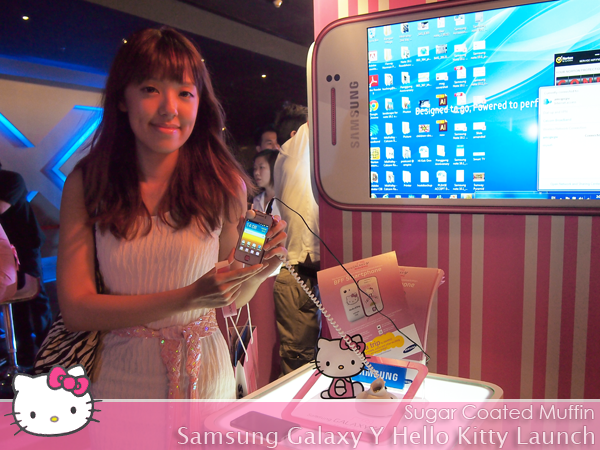 The Samsung Galaxy Y is not just any phone. Tell me, when was the last time you've seen a smartphone that's so pretty? And I'm not talking about phone covers here.. 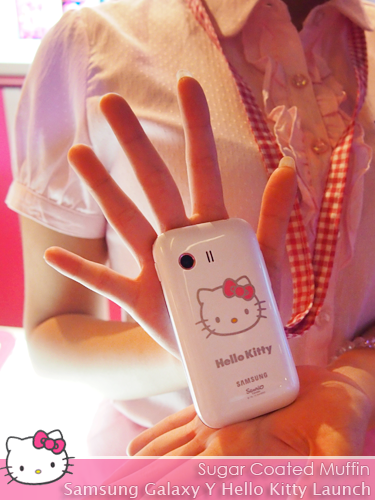 The phone itself is white and light pink with Hello Kitty on the back and on the home button as well! More details about phone available HERE. Btw, it's selling at RM 419 only! You know how you and your BFF like to buy matching stuff? 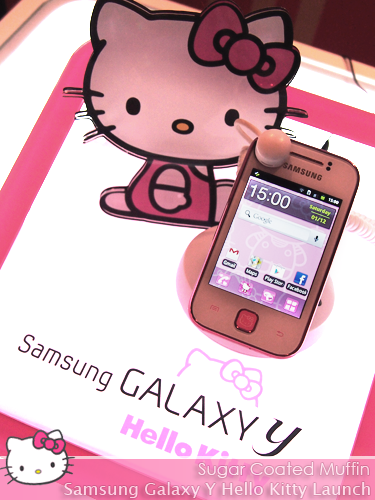 Well, now you can each get one BFF Smartphone aka Galaxy Y Hello Kitty to express your friendship. Who knows! You could win yourself and THREE of your BFFs a VIP trip to Sanrio Hello Kitty Town! 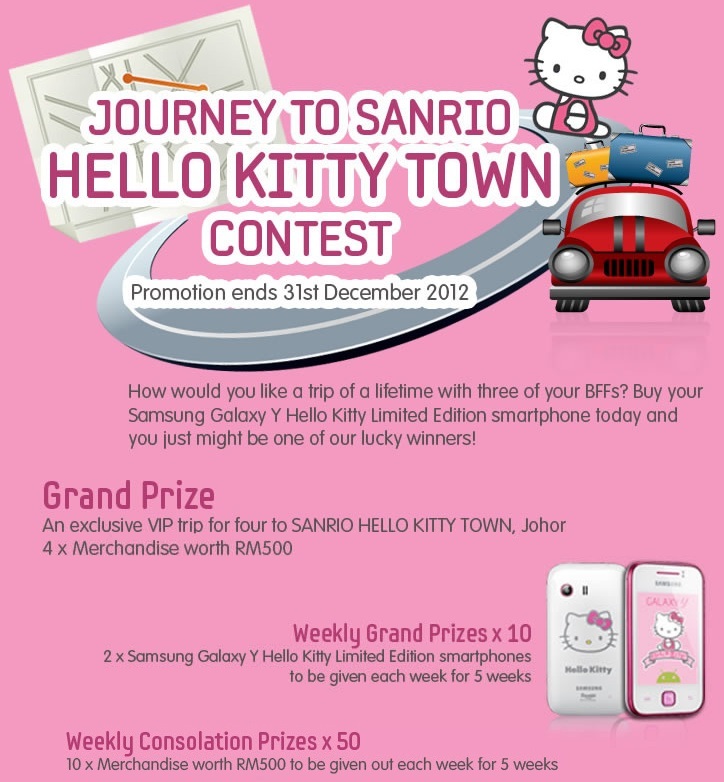 Also up for grabs are merchandises worth RM 500 and 2 Samsung Galaxy Y Hello Kitty Limited Edition smartphones! Click HERE for more info on the contest. You may purchase the phone from these locations : Click! 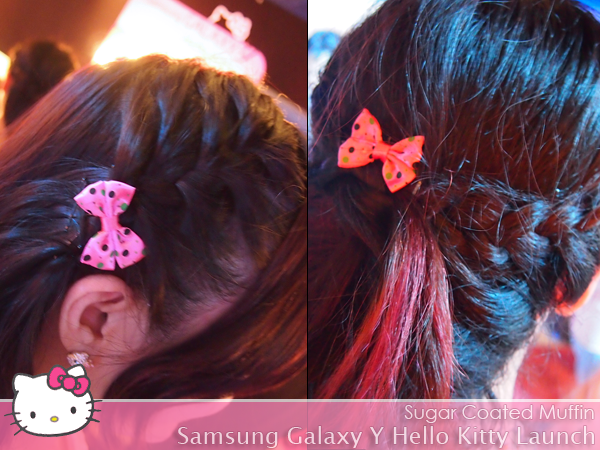 You can still go to Hello Kitty Town! I'm not sure where you are getting your info, but good topic. I needs to spend some time learning much more or understanding more. Thanks for fantastic information I was looking for this information for my mission.